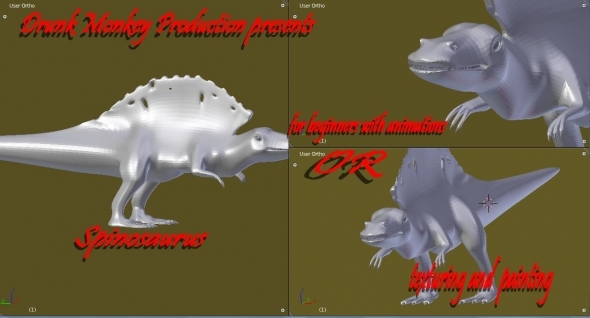 This is a simple spinosaurus mesh that I maid for people who are beginners at animating or text-er and also paint along with a pre_made dinosaur. leave comments please at DrunkMonkey215@gmail.com for any comments or request. Do you have any comment or questions about DrunkMonkey215 file?